Thanksgiving is America’s feast day. We’ve all participated in it but we only do it (this particular sort of feast) once a year so there can be pressure and confusion. So here’s the whole Thanksgiving Food and Wine deal. Please click on the links below. Enjoy your friends and family. Enjoy your food and your wine. Enjoy the time before and after. And don’t forget to give thanks. Click here for my Thanksgiving Page. Or click on the links below to go directly to those topics. Here’s what I do for the Thanksgiving meal with recipes for the bird and sides and more and a section on how to tweak the turkey to go with specific wines. Wishing you and yours a healthy, happy, safe, and delicious Thanksgiving holiday. Dom Perignon everyone knows. Dom Ruinart – not so much. 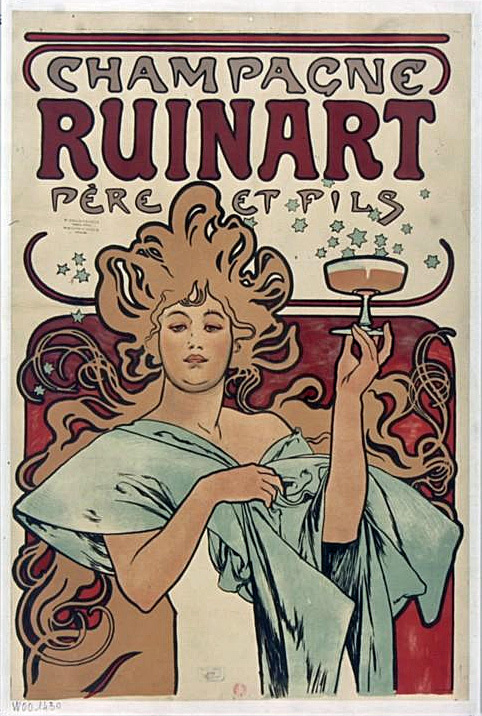 Which is a shame as Ruinart is the oldest Champagne house (established in 1729 by Nicolas Ruinart in Reims). While Ruinart makes an excellent Non-Vintage Blanc de Blancs Champagne ($44.64) it is the vintage-dated tete de cuvee Dom Ruinart Blanc de Blancs that stuns. A recent tasting of the 2004 showed a wine too good to ignore. A 12% alcohol, 100% Grand Cru, 100% Chardonnay (Blanc de Blancs) blend from the Côte des Blancs (69%) and the Montagne de Reims (31%). Gold-straw in color and fully sparkling; dry, medium-full-bodied with freshly balanced acidity and scant phenolics. Fine, and quite elegant, but somehow juicy with citrus and tree fruit. Lovely feel and great flavors with fully integrated chalk-mineral and toasty yeast notes. Complete. Refreshing and delicious even as it satisfies. BearScore: 97. Please join Spec’s fine wine buyer Bear Dalton for “PARSING PORT” at 7pm on Tuesday, December 2nd at the Wine School at l’Alliance Française. 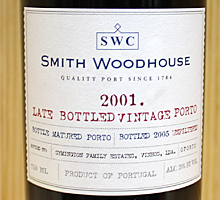 Port wines are numbered among the classic wines of the world and are quite collectable. Nevertheless, there is a mystique about them so a little information goes a long way toward understanding Port. Topics of discussion will include types of Port (why and how they are different), the origins of Port wine and how it evolved, Serving and Drinking Port, “Pass the Port” (Port Customs), and Decanting (including a decanting demonstration). The tasting will include a flight of 4 wines over 10 years old, a flight of 3 wines over 20 years old and a flight of two wines coming up on 30 years old. Twelve wines will be tasted and bread and cheese will be served. Parsing PORT will cost $60.00 per person cash ($63.16 regular). To reserve your spot, please call 713-854-7855. L’Alliance Française is French Cultural Center in Houston. Located at 427 Lovett Blvd., it is on the Southeast corner of Lovett and Whitney (one block south of Westheimer and two blocks east of Montrose). Please join Spec’s fine wine buyer Bear Dalton for “FABULOUS FIZZ: Drinking and Enjoying Champagne” at 7pm on Tuesday, December 9th at The Wine School at l’Alliance Française. We will discuss Champagne in all its facets: How Champagne is Made, Champagne Vocabulary, Champagne Styles, Terroir and Grape Varieties, Serving Champagne, Champagne Glassware, and Champagne and Food. Fabulous Fizz: Drinking and Enjoying Champagne will cost $60 per person (Cash) or $63.16 (Regular). To reserve your spot, please call 713-854-7855. L’Alliance Française is French Cultural Center in Houston. Located at 427 Lovett Blvd., it is on the Southeast corner of Lovett and Whitney (one block south of Westheimer and two blocks east of Montrose). On Tuesday, November 18 at 7pm, please join me (Spec’s fine wine buyer Bear Dalton) at the Wine School at l’Alliance Française for a Pauillac Perspective, a unique Bordeaux tasting featuring four verticals from four great PAUILLAC chateaux: Ch. Haut Bages Liberal, Ch. Batailley, Ch. Clerc Milon, and Ch. Grand Puy Lacoste. Did I mention that all of these are Pauillacs? Each is from a little bit different area of Pauillac and together they tell the story of Pauillac’s fabled terroir. We will taste the 2008, 2009, 2010, and 2011 vintages from each of these properties (for a total of 16 wines. This is the third in a series of vertical tastings where we look at four vintages of four top wines. It will be fun and informative. 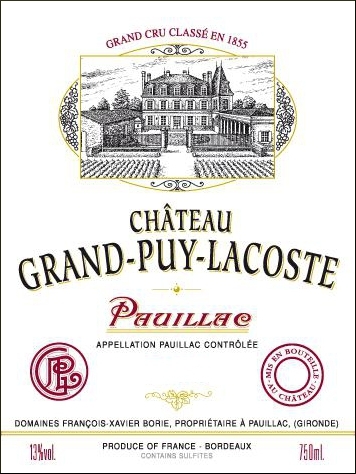 This Pauillac Perspective tasting will be $100.00 per person (Cash or Check) or $105.26 regular. The class will meet at 7pm on Tuesday November 18, 2014. To reserve your spot, please contact Marlo Ammons at 832-660-0250 or MarloAmmons@specsonline.com. L’Alliance Française is the French cultural center in Houston. Located at 427 Lovett Blvd., l’Alliance is on the southeast corner of Lovett and Whitney (one block south of Westheimer and two blocks east of Montrose).